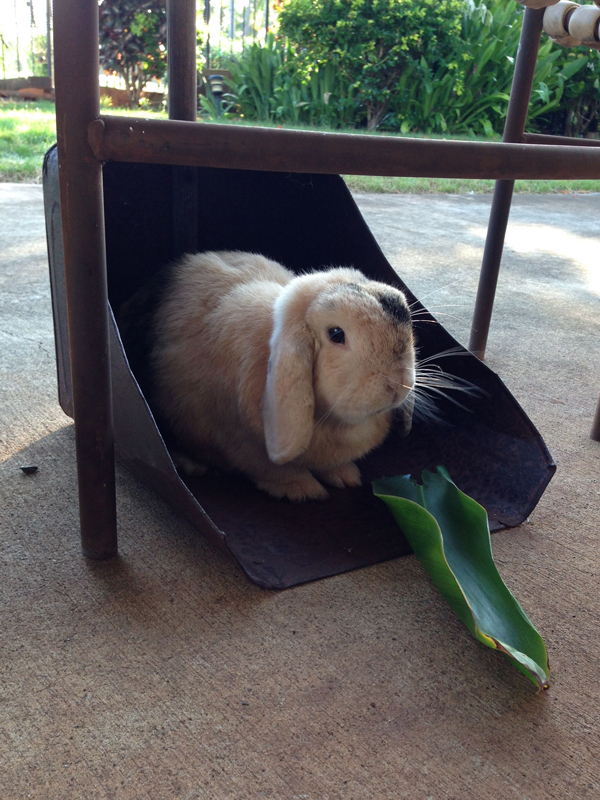 Hurricanes Iselle and Julio have passed, so Flopsie’s leaf bin was put back out on the patio. It is one of his favorite places to sit because it has the protection of three sides. He is eating his morning ti leaf.